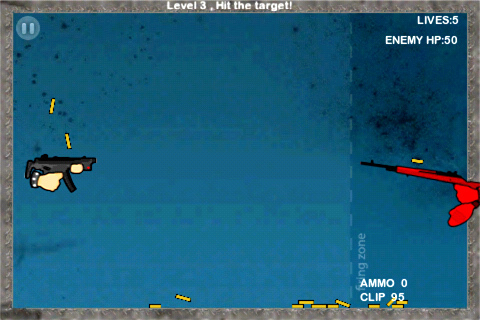 The Gun Game is the awesome new iOS port of the mega-popular Flash game with the same name. 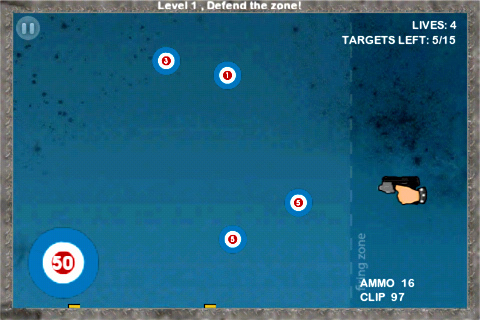 Available for iPhone and iPod touch - including super rich graphics for the high end screens on the latest generation - the Gun Game will keep you glued to your favorite iOS device for hours and hours of obsessive gameplay. 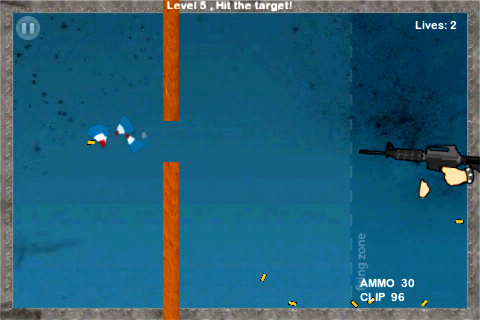 If you're a fan of the original browser-based flash game, you gotta see how this plays on multi-touch. 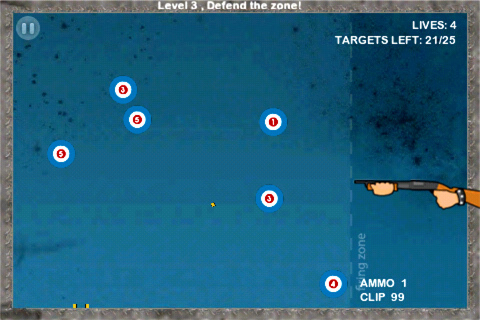 The Gun Game is the definitive physics-based shooting game, featuring realistic gunfire with recoils, reloads and bullet spreads, and a slew of realistically detailed weapons to choose from. Tons of levels will push your skills to the limit, and with extensive campaign modes and achievements that unlock new goodies and weapons-specific challenges, the variations are practically endless. 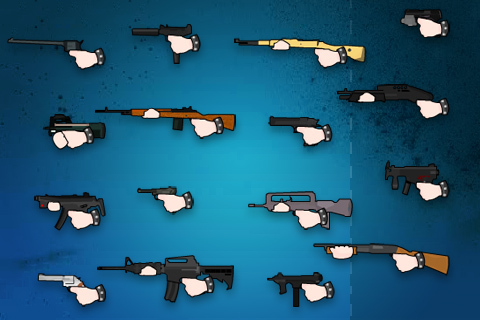 -Earn Achievements to further your weapon prowess and unlock new goodies. -Warm-up in the training mode. -Customize your play experience through our options menu.